« How you know if it’s that one special idea? What do you think a millionaire looks like? Why don’t we just try this exercise for just a minute – close your eyes and see the richest millionaire in your mind’s eye. See the clothes that he has on, the car he drives and the house he lives in. Did you see a person dressed in the most expensive, haute couture? Did you see a fast, expensive luxury car? Did you see an enormous estate spanning acres and acres of prime land? Sharp suit and fast car? That’s exactly what most people see. And what people see and envision is exactly what they do. That is exactly why many people today are not really wealthy. We’ve been brainwashed by the media from a young age to believe that that’s just how a millionaire lives – he drives a fast sports car, dines at the best restaurants, flies first class and spends weekends relaxing on his luxury yacht with his supermodel trophy wife – and we grow up aspiring to be just like him. We learn to spend, spend and spend, learning to buy the best and most expensive things in life but we ignore the less glamorous habits of real life, self made millionaires like living within our means, investing prudently and hard work. And since we model the habits of these imaginary millionaires as portrayed by the media, and not the real life, wealth accumulating habits of real millionaires, is it any wonder that most of us are not rich and wealthy? I too, am extremely guilty of this. I always envied the kids whose parents bought them toy after toy after toy at Toys-R-Us. While my parents really showered my brothers and I with truly unconditional love and provided everything necessary for us, one thing they never really liked doing was spoiling us with the flashy, expensive toys from the toyshop. I can remember walking up and down the aisles of the toyshop, picking up each Transformers action figure and reading the back label, imagining myself playing with it, having it transform and fighting for a great war in battlefield Home. But I never did ask my parents to get them for me as I was just dead certain that they’ll just say no. So I spent hours just looking and imagining myself with the many toys and action figures I knew I’ll never play with, telling myself that I will some day make up for it. Fast forward a decade. I was studying away from home in Singapore now. I have my own money, my own personal budget to spend on whatever I so desire. Without my parents to curb my spending, I tried to live the ‘rich’ life – I spent good money on the best looking things with little regard to how much I spent! Rebelling against my upbringing in a way, I spent and spent and spent, spending quite a bit more than the average Malaysian scholar. I was young, foolish, and I didn’t understand what it meant to save, invest and minimize my expenses to work towards financial freedom. But now I understand that most self made millionaires don’t live their lives with meaningless spending because they, above all others understand the merits of living within their means and investing their money so that their money works for them. He, above all people, understands that fact. So I guess that I should take some time out to talk about some real-life millionaire (also billionaire) habits that we can all practice become one someday. One reason that the wealthy don’t simply spend their money on the things that they don’t need is because that they understand that if they invested that money instead, they would end up even richer and wealthier, which would make them happier than the immediate short-term gratification spending that money would have brought. 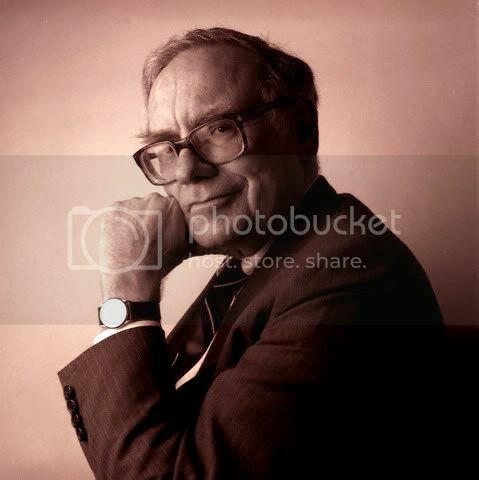 Warren Buffett is famous for once refusing to buy his wife Susie a new car because the $40,000 cost of the car invested with his company over just 5 years would about to nearly $150,000, which is in his opinion, way too much to spend on a car! One key difference between the self-made millionaires and the working class who are one step away from being broke is this – the rich can deal with delaying immediate gratification and invest their money for greater returns! They put off buying things they don’t need to invest that money wisely so that their money works for them to generate even more money. If we can model Warren Buffett’s behaviour and see the future value of the money we hold with us, I’m quite sure we would really spend much less and invest much more! Financial freedom is the state where one is free to not work and still have enough money to survive comfortably. Just how is that possible to have an income when we don’t work? It’s definitely possible when the passive income you receive is greater than your expenses. Passive income is defined as the income we receive even though we don’t actively work to receive it. Such income flows into our pockets regardless of whatever we do. Examples of sources of passive income would be rental payments we receive from leasing out properties we own, royalties from the sales of our intellectual property and even monthly dividends from the shares that one owns. So when one’s passive income is greater that one’s expenses, that person would no longer have to work! That person would then be financially free, and that person spent working can be better used to work on other things that he or she deems more meaningful than working! That’s why the financially intelligent work towards minimizing their expenses whilst working to increase their passive income – they’re working to that fabled financial freedom that so many of us seek, but so rarely attain. Now that I am older and wiser, I can see just why my parents have always taught me to spend wisely and carefully – it’s one crucial step towards achieving that millionaire dream I always had. I’m a little behind, but I’ll break those chains. Just you wait. This entry was posted on September 8, 2009, 12:24 am and is filed under Wealth. You can follow any responses to this entry through RSS 2.0. You can leave a response, or trackback from your own site. Hey, just posting the comments thread from Facebook over on the blog for my other readers to read too! It’s a pretty engaging discussion! On a side note, the notion of having “financial freedom” and not having to work is overrated. One would probably find it hard to gain fulfilment by not actively earning one’s right to live and survive and being dependent on free money. I believe that one still needs a meaningful career — not just a “hobby” or “passion” — to allow oneself to stay occupied satisfyingly. Agreeing with your friend there, I believe it is in man’s nature to work, to be productive, and to contribute to society. No one wants to live the rest of his days knowing he’s an needless aspect of the material world. Working towards fufilment is often a joy in itself! =P But I guess the idea behind financial freedom is purposed towards relieving oneself of financial duress so one can focus his energies to more meaningful endeavors, it is those who continue to pursue material benefits that will never break free of their need for finances, thereby never achieving financial freedom. Agreed — financial freedom requires one to not only increase one’s sources of passive income but also decrease one’s expenses (i.e. material wants) to a level where they’re both in equilibrium. And financial freedom only lasts so long as both the income and expenses are maintained at said level. Investment income is usually sustainable as assets compound in value over time while still offering a steady stream of cash flow through dividends, rent, license fees, royalties, etc., but one would find it difficult to keep the expenses below the passive income, especially with kids. One would find it more fruitful to work and increase one’s income streams (not to mention provide capital for further investments); the concept of financial freedom is useless if it means sacrificing the basic joys of life. Coupled with the fact that working reinforces a sense of self-esteem in oneself (“I matter/contribute to the world”), working really is preferable to the soulless pursuit of financial freedom. Woah, pretty cool discussion concerning the concept of financial freedom but I really think that it is a worthy goal. Why? Firstly I believe that financial freedom manages to award us peace of mind and freedom. We have the time and energy to invest ourselves in things that we deem important when we are not tied down, having to work for money to survive. We have the time to try out our own personal ambitious projects – like say stage a really grand Broadway play or write that book you always wanted to write or go do community service far away and help people who are really, really suffering. And when you are financially free and still want to work harder and make more money, nobody’s going to stop you, yeah? Thanks guys so much for your comments and I’m porting this thread over to the blog! Unconsciously, i also try to spend on material stuffs (believing that it will make me feel better) , actually it has no benefit on the journey of achieving financial freedom. Warren Buffett is an amazing example of a billionaire and yet so prudent on his spending. Kudo! More great comments from Facebook! Kevin, I agree that financial freedom affords one the time and some money to pursue one’s individual ambitions. But weaving said ambitions into a career would ensure the continuity of the financial freedom that one’s dreams are so contingent upon. Otherwise, those dreams, if pursued stubbornly with no monetary considerations in mind, remain as mere wealth-draining activities that eat away at one’s financial freedom. Financial freedom is not *that* easy to maintain if all one does is actively spending passively-derived money. Perhaps it is more preferable to see financial freedom as a favourable by-product of meaningful endeavours, not as a goal to be actively chased. Financial freedom is good, but not worthy enough (and ultimately counter-productive) as a “goal”. Just something that I’ve noticed: most of us (students) have financial freedom. Free money from parents, scholarship allowances and some of us are fiscally savvy enough to invest in stocks and receive dividends. Why do we study so hard then? Why build up our skill set, accumulate internships, etc.? Because free money doesn’t last forever. In the real estate world, tenants pay up late, disappear suddenly, rental yield falls due to deteriorating economic and social conditions, etc. Royalties are unsustainable and depend on current demand of the intellectual property. And dividends are also uncertain as they’re only handed out in a profit-making financial year. Hell, if the Board feels like retaining all profits for the year, dividends won’t even be paid out even if the company is making money. Sounds a lot more uncertain than earning a wage. I still believe that one must work towards financial freedom. Just working hard in general without the clear direction of generating additional streams of passive income and living within your means would often end up with people who find themselves trapped to their jobs, and would find it extremely hard to survive should they lose their said jobs. That said, I agree that building up one’s skill set is the most important investment one can make. I believe if one has the necessary skills, one can build and sustain multiple streams of income with a much lower investment of money and time as compared to another person who is less skilled. Yup, yup. It’s easy to get sucked in into giving in to your desires when you don’t see things from a much wider perspective! I think it’s really important to learn how to look at things from the viewpoints that matter! Hahaha, oh well, I guess I just have different sides to my personality. The spartan inside me is still well alive and kicking though. Thank you for inspiring me. I’ve been attending 1 hour seminars on how to spend money wisely but i did not learn any. But when i read your blog, it’s like there was a flash back of what i’ve been doing since i started working and i just felt guilty. Guilty at the same time motivated to change my life style.